We’d love your help. 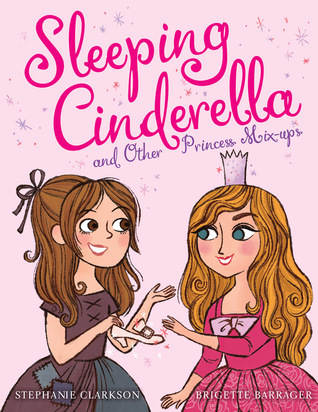 Let us know what’s wrong with this preview of Sleeping Cinderella and Other Princess Mix-ups by Stephanie Clarkson. for a fairy tale swap. 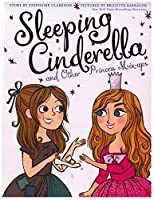 To ask other readers questions about Sleeping Cinderella and Other Princess Mix-ups, please sign up. It was a fun story starring Snow White, Rapunzel, Cinderella, and Sleeping Beauty. It has a fun and playful premise. The endings have all been adjusted as well. For better or worse. I enjoyed the style of the illustrations. I enjoyed the illustrations of Snow White the best. I loved her look! I like that it acknowledges the downside to several of the traditional fairy tales and shows that what isn't right for one person might be just what someone else needs. It was good to see the princesses stand up for themselves. Reminds me of a kid's version of the song by Sara Bareilles. The rhyme and flow make it work as a read-aloud but it's for an older crowd than my Story Time. I loved the plot. It would have been bumped down to a 3 star because the rhymes don't always scan, which is a pet peeve of mine, but got bumped back up to a 4 because of the art. My daughter loved it, and she's the target audience; I loved the message. I love the Disney princesses/franchise as much as the next person, but this was surprisingly creative and funny! I liked the illustrations as well. This was a cute book -- I liked the illustrations and the way it played with the tropes of Cinderella, Sleeping Beauty, Rapunzel, and Snow White's fairy tales, imagining what might happen if they could inhabit one another's stories. And it was nice to see how this experiment reverberated back into their "regular lives" as they negotiated to get better deals for themselves. Especially gratifying was Snow White's insistence that the dwarfs pitch in to help her clean. FINALLY. The rhymes felt a lit This was a cute book -- I liked the illustrations and the way it played with the tropes of Cinderella, Sleeping Beauty, Rapunzel, and Snow White's fairy tales, imagining what might happen if they could inhabit one another's stories. And it was nice to see how this experiment reverberated back into their "regular lives" as they negotiated to get better deals for themselves. Especially gratifying was Snow White's insistence that the dwarfs pitch in to help her clean. FINALLY. The rhymes felt a little forced at times, and even though it's a children's book, I was annoyed that it glossed over the roadblocks that kept some of these princesses where they were in the first place -- if Rapunzel could leave and return to her tower as easily as she does in this book, she would have no story at all! "Cinderella went off to college instead, met a regular guy--less well-off but well-read." Cinderella, Snow White, Rapunzel, and Sleeping Beauty are all tired of their respective lives and long for a change. So, Snow White takes Rapunzel's life in the tower, Rapunzel takes over Cinderella, who changes with Sleeping Beauty who heads over to Snow White's house. What they all discover though, is that the grass isn't always greener in a new yard. This was a fantastic story! The story is told in a rhyming format. The Princess's names are in a different font so it stands out in the story. Th Cinderella, Snow White, Rapunzel, and Sleeping Beauty are all tired of their respective lives and long for a change. So, Snow White takes Rapunzel's life in the tower, Rapunzel takes over Cinderella, who changes with Sleeping Beauty who heads over to Snow White's house. What they all discover though, is that the grass isn't always greener in a new yard. Excellent story! It was so much fun to read with my little. Just to be clear, I am rating this book with five stars purely for the supreme talents of the illustrator Brigette Barrager, rather from the point of the text, which would be sad, given that I wrote it. I love Brigette's use of colour and the delightful retro style she gave to my slightly unconventional take on these well-known princesses. If you enjoyed this I would thoroughly recommend picking up a copy of Uni the Unicorn, written by Amy Krause Rosenthal and also illustrated by Brigette. PS. If Just to be clear, I am rating this book with five stars purely for the supreme talents of the illustrator Brigette Barrager, rather from the point of the text, which would be sad, given that I wrote it. I love Brigette's use of colour and the delightful retro style she gave to my slightly unconventional take on these well-known princesses. If you enjoyed this I would thoroughly recommend picking up a copy of Uni the Unicorn, written by Amy Krause Rosenthal and also illustrated by Brigette. I really liked this book because it really changes my favorite fairy tale princess. It showed how the princesses really didn't like their house and life so they switched with another princess. In the end the princesses learn to compromise with what they didn't like so they could live a happy life. It changes the ending of the fairy tales and shows how they change their fate. I received an free advanced copy of this book to review. 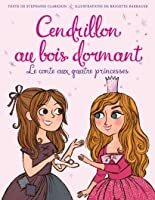 My grand daughter, Cloie, reviewed it for me so you have a younge I really liked this book because it really changes my favorite fairy tale princess. It showed how the princesses really didn't like their house and life so they switched with another princess. In the end the princesses learn to compromise with what they didn't like so they could live a happy life. It changes the ending of the fairy tales and shows how they change their fate. Yes! I grabbed this tonight off the display shelf at the library. I just knew a would want to read it. This is the book she picked to share. Not only are the illustrations vivid and vibrant but also the language sophisticated and elegant. The premise is not your typical damsel in distress but rather a lesson in greener pastures and resolve. A must read for all princess lovers and those who are not. "So, by talking things through and her problems amending, each girl truly made her own fairy tale ending." With the popularity of princess books with my young girls, this one will be a strong addition to the collection. It has a great message about confronting your problems, rather than running away, and looking to yourself for solutions, rather than to a man. I SUPER enjoyed this book, but my four year old was creeped out by the witch featured in the Snow White portion. Then again, she's gone from being obsessed with witches to really freaking out about them. What a fun read. Each princess gets to see how the other shoe fits and they create their own endings. My little sister love this book lol. Every time she comes in my room that's the first book she ask for. Hilarious! my sibling and I were laughing through the whole book. Very cleverly done. Great story about being happy with what you have. A fun, rhyming tale of the princesses we all know and love that swap their roles and discover what it's like to be one another. Adventurous and light, a great read. Recommended to Amber by: Kelly D.
This book was fantastic! I wish it had existed when I was little. The mix-ups were fun and it was nice to see them find their own way of moving their life forward. Miss 4 and I like to explore different books and authors at the library, sometimes around particular topics or themes. We try to get different ones out every week or so; it's fun for both of us to have the variety and to look at a mix of new & favourite authors. Several princesses seem to think life is greener on the other side, so they swap each other's lifestyles, but soon tire of it, but lessons are learned, and each Princess takes a stand to seek their own individual happy ever afters. Told in rhyme, this fairy tale displays contentment in what one has. This review has been hidden because it contains spoilers. To view it, click here. This was such a wonderful book. I loved that it was told in rhyme and had great word choice. The illustrations were beautiful. I also loved how the girls solved their own problems at the end and communicated with others what they were feeling. Fun. Four fairy tale princesses switch places for a break from their routine. In the end they decide to return to their own story, and change it slightly so they can all have a good ending.